It’s been a year now since I was first properly introduced to WordPress and started using it to create an online archive of my work. Over the last 12 months I have grown to appreciate the power and flexibility of this piece of online blogging software and feel the need today to go in to a little more detail. 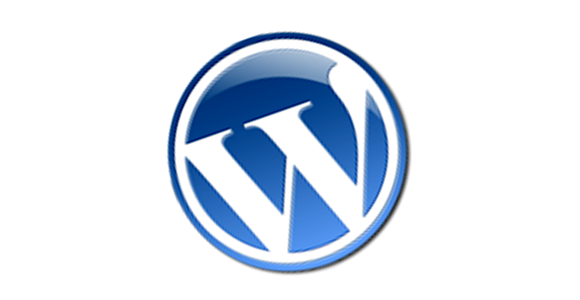 WordPress is a free and open source publishing application which gives home users the ability to quickly and easily create an online blog using their own domain name. Blogging, the term used to describe the maintenance of a website used to chronicle information has become incredibly popular in recent years as more users realise that the Internet provides a global platform which can be used to broadcast their ideas or opinions. For most, the prospect of coding a website from scratch is not just a daunting but potentially impossible task, and so it is down to worthy applications such as WordPress to make blogging accessible to the masses. Undeniably a small amount of technical knowhow is required however the process of the initial installation couldn’t really have been made any simpler. Begin by registering your domain name (for example, I chose www.computerarticles.co.uk) and sort out a hosting package. The hosting of your blog shouldn’t cost more than around £25 a year and you may want to use the same company for this that you used to register the domain. With this process complete, download the WordPress application from www.wordpress.org and upload it to your web space before running a single installation file which will configure the software to work with your web host and allow you to set up initial settings such as a user name and password. Someone with a basic knowledge of setting up a website should be able to complete the process in a couple of minutes however even basic users should find they are able to complete the installation in around 20 minutes by following the step by step guide online. Once installed you can begin adding content by way of a WYSIWYG (What you see is what you get) text editor which allows you to quickly and easily knock out an article using features such as bullet pointing, text alignment and text effects without having to worry about getting your hands dirty by doing any coding. So far this is all fairly basic stuff however WordPress comes in to its own when you start to play around with some of the settings relating to the look and feel of your new blog. The theme selector for example is an incredibly powerful element of the software which allows you to automatically style your site in a set fashion by choosing one of over one thousand themes. Don’t assume that these are all incredibly similar and that every WordPress site will look the same. The theme you use will radically change not only how your blog looks but also how it feels; for example, the entire navigational layout of the site can be changed simply by selecting a new theme. Updating the blog and providing additional functionality for both you and your users is also easily achieved but unfortunately I’ve reached my word limit so this will be continued next week.